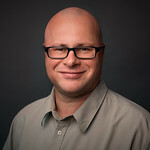 So ReSharper proposed to make the property private which for sure was not ok for me has I knew it was used. Some time ago I started to assign some design DataContext to be able to navigate from View to my ViewModel just by pressing Go to Declaration (CTRL-B in IDEA scheme) in ReSharper. 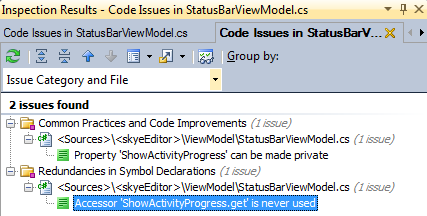 Now I can navigate from View to ViewModel, can avoid to have developer deleting properties that are sued in XAML bindings, but I can also get an idea of where a ViewModel property is used by using ReSharper Find Usage (Alt-F7). 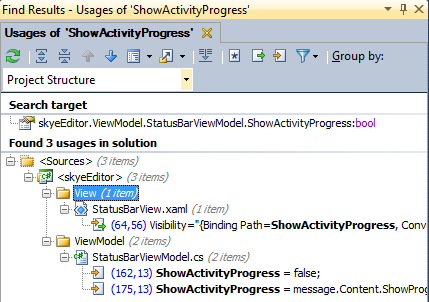 I see right away that the StatusBarView.xaml is using the property ShowActivityProgress. So don’t forget to add the d:DataContext into your XAML !